"Imagine If There Is No Revolution, I Wonder If You Can?" Join Wellness and Health Advocacy in learning about comprehensive sexual health! Non-Contract Reviews - Sociology Dept. 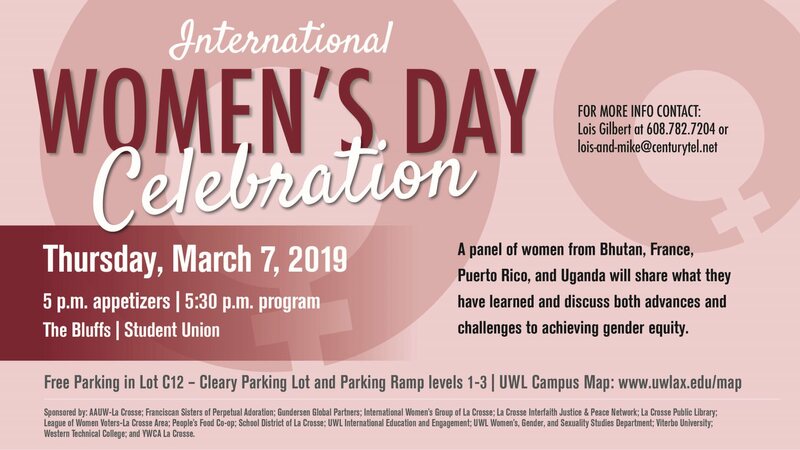 Please join us for this FREE event that will consist of a panel of women from around the world. They will share what they have learned and discuss both advances and continuing challenges in achieving gender equity in their native countries.